This project was initiated in 2017 by parishioner, Val Kelly and supported by members of the parish Rosary Prayer Group. 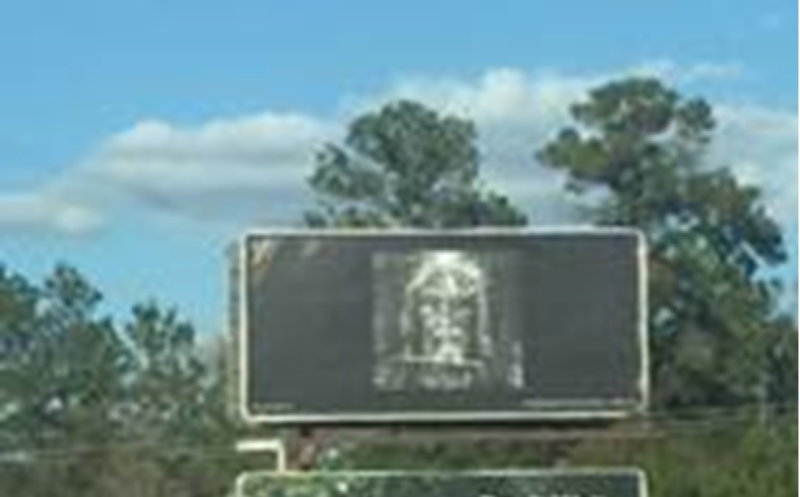 The photo of the Holy Face is viewable on the way back from Savannah toward Bluffton/Hilton Head, approximately six miles south of the Route 46 traffic circle (one mile south of the Pink Pig Restaurant) on Route 315, with Bellinger Hill Road being the closest intersection. You may visit the website for the background of this project by clicking this link.